Known as the “butterfly capital of the world” Coconut Creek, Florida is a geographical area of about 12 square miles housing about 50,000 residents which was named the 48th best small town to live in the United States by Money magazine in 2010. The city’s name is derived from its early founders planting coconut trees and one of its first developers borrowing names from neighboring Indian Creek and Coconut Grove. While undoubtedly beautiful, Coconut Creek is no stranger to personal injuries. Industrial diseases: Over the years many people have suffered temporary or permanent injuries due to exposure to toxic chemicals or environments (such as asbestos) in the workplace. Under Florida law, there is a deadline of four years from the date of injury to file the personal injury claim. This timeframe is typically referred to as a statute of limitations. If you fail to file your claim within this time frame, your case will be barred forever. In order for a plaintiff to successfully obtain monetary compensation for damages suffered in a Florida personal injury case, state law requires that he or she establish that the defendant had a duty not to injure the victim, this duty was breached, the breach was directly related to the victim’s injuries, and the victim suffered damages. There are two types of damages a victim may seek in a Florida court in a personal injury case. They are referred to as compensatory and punitive. The former type of damages is intended to make the injured victim whole again while the latter is intended to punish the defendant’s actions and deter future bad behavior. If you or someone you know has suffered a personal injury in Coconut Creek, do not try to handle it on your own. The knowledgeable attorneys at the Law Offices of Joseph I. Lipsky, P.A. 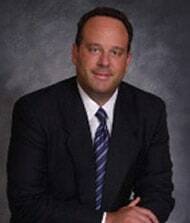 have over 25 years of experience representing the injured in Florida. With offices located from the Florida Keys to the Palm Beaches, we can provide rapid legal representation to victims across South Florida. Click here today to schedule your initial case evaluation, or call us at 954-693-0073 for a free, no obligation personal injury consultation.